If your idea of a great vacation includes shopping, staying at Hotels in Pigeon Forge Tennessee gives you easy access to area Outlet Malls. Most are within 1 mile. If a spectacular view is your idea of a relaxing stay. Pigeon Forge Hotels is nestled among the Smoky Mountains. Providing a beautiful backdrop to your day. 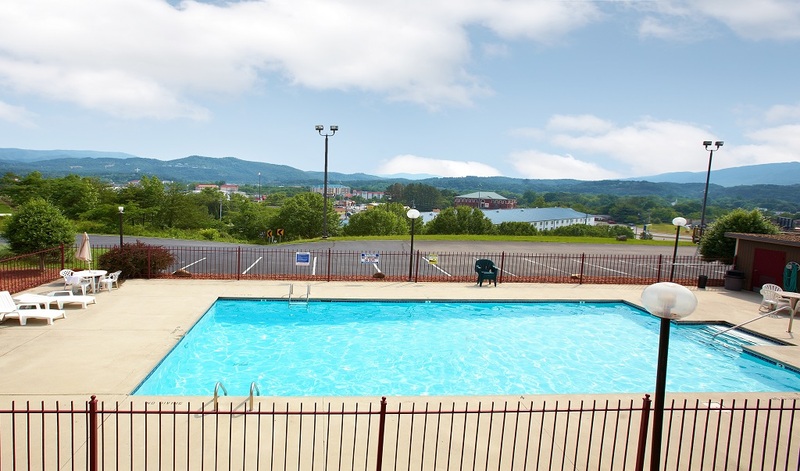 View the Smoky Mountains from our 48-foot Deck or from our heated pool area. 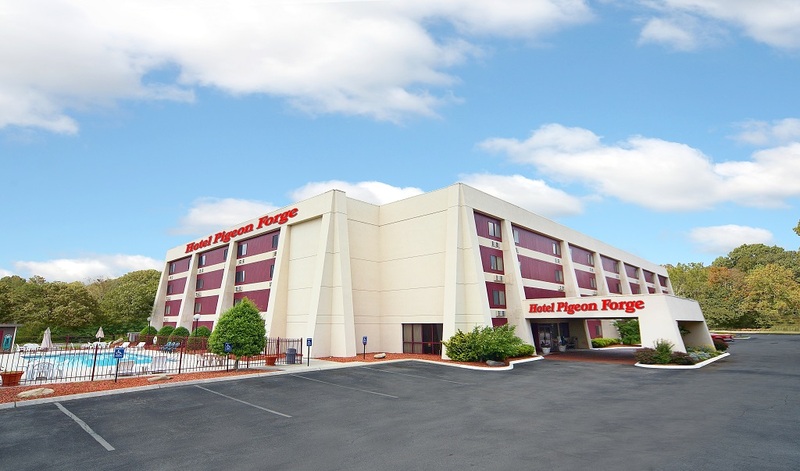 Our Pigeon Forge Hotels such as Hotel Pigeon Forge is located on the main parkway. Hotels in Pigeon Forge Tn. are close to Dollywood, close to Country Tonite Theater, close to Hatfield & McCoy, the Memories Theatre and close to Titanic. The Hotels in Pigeon Forge are close to Dixie Stampede and only 6 miles to the Great Smoky Mountains National Park. Pigeon Forge Hotels are close to the Christian village and Gatlinburg hotels. Close to Pigeon Forge Convention Center. We've taken the hassle out of being away from home. Our extra long beds, King pillow top mattress. Every room includes a refrigerator, Microwave, Iron, Ironing-board, Shampoo, Hairdryer ,Coffee and Coffee maker. A FREE Continental Breakfast is served each morning. Free Wireless Internet. Free local phone calls and Guest laundry. We have a beautiful view over the mountain from our 48ft viewing deck and our pool area. Hotel Pigeon Forge is one of the best Hotels in Pigeon Forge TN. Come and experience southern hospitality at Pigeon Forge Hotels. Convenient located on the Parkway walking distant to Restaurants and Shows with a Trolley stop at drive way entrance. The Hotel offers King Rooms, King Suites, 2 double beds, 2 Room Suites, Suite with Spa Bath and Family Suites. We offer group travel and hotel group rates for business meetings and group hotel rates for family reunion, tour bus, sports teams and church events. 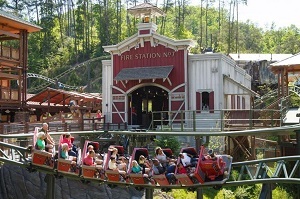 Dollywood is a theme park owned by entertainer Dolly Parton and Herschend Family Entertainment. It is located in the Knoxville-Smoky Mountains metroplex in Pigeon Forge, Tennessee. Hosting over 3 million guests in a typical season-Presidents' Day to the Christmas holidays-Dollywood is the biggest "ticketed" tourist attraction in Tennessee. The Great Smoky Mountains get their name from the blue-like smoky mist that surrounds them. These beautiful peaks make a picturesque backdrop for Pigeon Forge. In the Smoky Mountains you'll discover 500,000 acres of Southern Appalachian wilderness on one of the oldest uplands on earth! The mountains are 95-percent forest and home to diverse wildlife. Here you can uncover breathtaking streams, waterfalls and flowering plants. 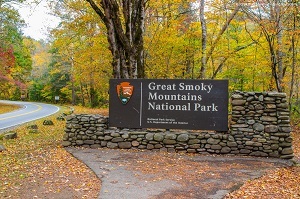 Great Smoky Mountains National Park offers a variety of activities throughout the year including 800 miles of trails for hiking, exploration and plenty of sightseeing. There are countless photo opportunities along the park's beautiful scenic routes. Weather conditions in the mountains tend to be moderate making it a favorite vacation spot for couples and families alike. Parrot Mountain is a direct result of a vision the owner had in July, 1995. 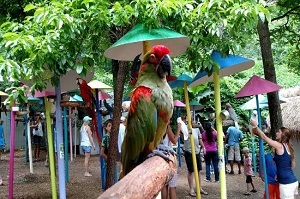 He left Mississippi with his family and came to the mountains of Tennessee and was led to the land that is called Parrot Mountain and Gardens.The vision was to build a garden that would encompass glorious gardens and beautiful birds. With scriptures to read planted throughout the gardens as you stroll down beautifully landscaped trails. The Smoky Mountain Alpine Coaster is the longest downhill ride in the United States,with over 1 mile of track!The vehicles are designed to carry two visitors in comfort but can be handled easily by one alone.The riders are in control of the velocity (up to about 30 mph) and this gives them a unique hands-on experience! 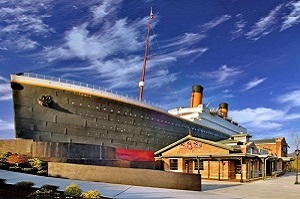 The Titanic Museum is a two-story museum shaped like the RMS Titanic. 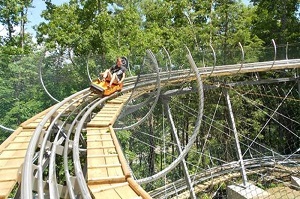 It is located in Pigeon Forge, Tennessee and opened on April 8, 2010. It is built half-scale to the original ship. Similar to the one in Branson, Missouri, the museum holds 400 pre-discovery artifacts in twenty galleries. It is the largest permanent Titanic museum in the world. The structure is built in a pool to create the illusion of the Titanic at sea, and the 2-hour, self-guided tour is designed to give guests the sensation of being an original passenger on the Titanic's 1912 maiden voyage. All children are welcome. Free! All children or adults stay free of charge when using existing beds. Free! One child under 2 years stays free of charge in a crib. There is no capacity for extra beds in the room. Arrived from Florida on Friday afternoon, room was ready. We spent our Thanksgiving week here and it was wonderful. The bed was perfect the pillows great. Service was top amazing, The front desk young lady was exceptional. She was friendly and knew the area and what was and was not open. The breakfast hostess Pat was quick to replenish the breakfast bar also friendly and knowledgeable. Super clean. Incredibly nice staff. Great location. Beds were very comfortable. Much more so than you would usually expect for such a great value. Breakfast was offered from 7a-9a but we slept until check out and missed it. Maybe next time! Would definitely stay here again. I love this place every summer there is no other place I rather be than hotel pigeon forge. Staff is incredible, it's like I never left home. Thank you for the great hospitality always, you guys welcome me and my Jamaican friends as we were your own kids. I strongly recommend this place to everyone who intends to visit pigeon forge TN. 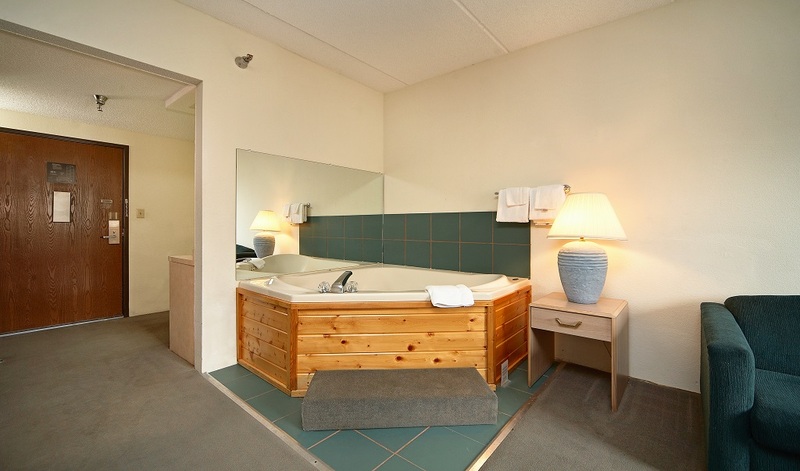 Great price and great service nice swimming pool and clean too and the rooms were nice and clean I will be going back there when we come back through on a trip I would tell everyone to go by there and stay because of it a nice hotel and smell good. My wife and I stayed at the hotel for a week. Everything about the hotel for us was great. Very clean rooms. The staff of the hotel was very accommodating anything you needed they got it for. Would recommend this hotel to anyone. Stayed here on a whim after finding a terrible motel down the road. Great hospitality, comfy beds and cold a/c and a pool with a view. Was very quiet both inside and outside. Will return if in the area. We made a last min trip to Pigeon Forge this weekend. Since we were only staying one night, I was looking for cheap cheap cheap! I didn't expect much since I was going for cheap so I was pleasantly surprised! It was super easy to find, check in was super easy, and my room was clean! I slept well; the bed was comfy and pillows were too. I'd gladly stay here again. 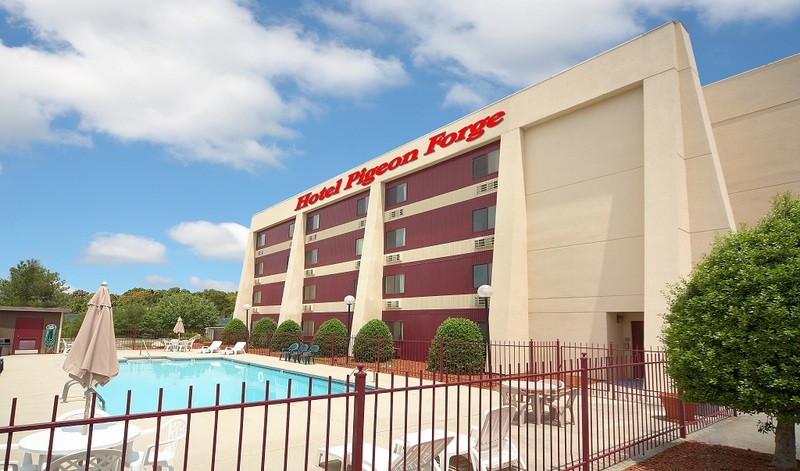 I stayed at Hotel Pigeon Forge throughout this past summer and it was a great experience! 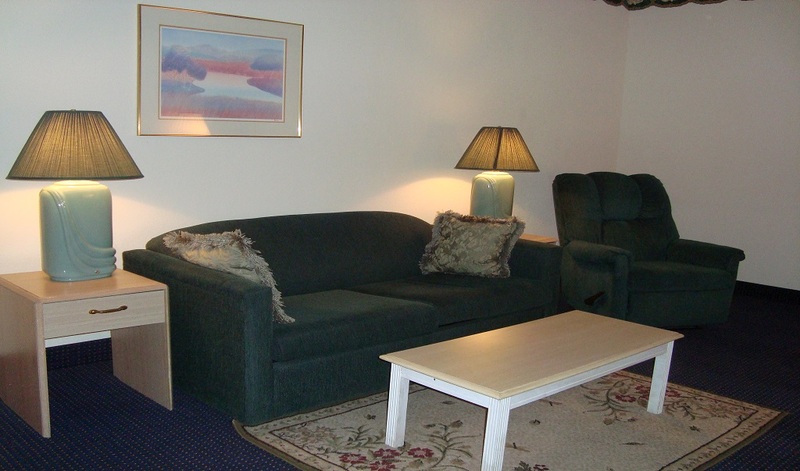 The rooms are very clean, comfortable, and the front desk workers were always kind and helpful! The hotel also provides complimentary breakfast, and there is plenty of parking. Definitely, consider staying here if you're looking for a great deal! What a wonderful 7 days we had at Hotel Pigeon Forge, From Check In to Check Out. The Staff was wonderful and made this stay extra Special Thank you Monica, Mike, Clarine, Janet Leif, Tracey and Danny. Breakfast was great my two grandsons loved it. Beds were comfortable, Pillows great. We had 2 rooms and both were clean and perfect. Helpful, wow the staff knew exactly where to go and what to see. A totally excellent experience. Thank You all so much. Can't wait to return.